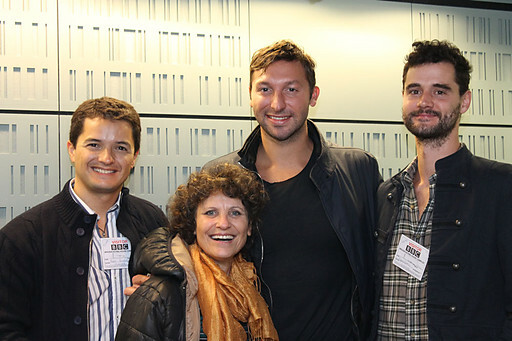 2010 Whitley Award winner, Pablo Borboroglu, joined WFN in London and made a guest appearance on BBC Radio 4’s Midweek programme with Libby Purves on Wednesday 14th November. Pablo talked to Libby about his mission to conserve the world’s penguins through his NGO, the Global Penguin Society (GPS), the first international coalition for penguin conservation. Penguins are loved the world over but many people do not realise that over half of all penguin species are threatened with extinction. Also in the studio was Olympic swimming legend Ian Thorpe, a penguin fan who has a colony of little penguins living near his home in Australia! Pablo also made an appearance on the BBC World Service’s Outlook programme with Matthew Bannister, where he went into a bit more detail about the problems penguins face and how he and the GPS are helping to solve them. You can listen to this show by clicking here. Aired on Monday November 12th, Pablo’s interview begins at 17 minutes and 54 seconds. Finally, on Sunday 18th November, Pablo’s work to tag and track magellanic penguins by satellite was featured on page three of The Sunday Telegraph in a piece by Science Correspondent, Richard Gray. To read the article click here. The piece takes a look at the remarkable lifestyles of these near threatened penguins which pair for life despite spending long periods apart, embarking on solo journeys and taking in some 200,000 miles of ocean.